Click here for a video interview on the 2008 program highlights. WHO: Philip D. Zelikow, former counselor to the U.S. Department of State, former executive director of the 911 Commission and University of Virginia professor; Irwin Cotler, M.P., member of parliament, former minister of justice and attorney general of Canada; and Jehuda Reinharz PhD ’72, Brandeis president and Richard Koret Professor of Modern Jewish History, will speak at two separate Brandeis in the Berkshires programs this summer. WHAT: The historic ’08 presidential race and Israel’s 60th anniversary will be the focus during this year’s Brandeis in the Berkshires summer symposiums. Since 2002, professional and community leaders have gathered each summer in picturesque Lenox, Mass. for compelling and intellectual discussions spearheaded by Brandeis University faculty members and special guests. The first program (July 11-13), “The Presidential Election: Decision ’08,” will be led by an assembly of experts on national and foreign policy, healthcare, the environment, global energy, the gender gap and the role of the media in elections. Special sessions will be held on these topics as they discuss “what you should hear from the candidates but probably won’t,” as well as a forum on “U.S. Grand Strategy and the Middle East,” which will include discussion on which candidate has the best plan for the Middle East and the war in Iraq. Philip D. Zelikow, former counselor to the U.S. Department of State and former executive director of the 911 Commission, will speak about “An Agenda for a Civilized World.” He will discuss candidate ideas, rather than the candidates themselves, and define policies that are able to cross party lines and offer a stronger sense of common purpose for the U.S. in the world. Other panelists include Robert Art, the Christian A. Herter Professor of International Relations at Brandeis; program keynoter, Stuart Altman, dean of the Heller School for Social Policy and Management; Sol C. Chaikin, professor of national health policy at Brandeis; Jill Greenlee, assistant professor of politics at Brandeis; Andrea Koppel, award-winning journalist; Kenneth Pollack of the Brookings Institute; Kenneth Oye, professor of political science and engineering at MIT; and Stacey VanDeveer, associate professor at the University of New Hampshire. “Israel: 60th Anniversary: Re-imagining Israel,” the second program of the summer series (Aug. 3-4), will feature Israeli and American leaders as they explore Israel’s past and share visionary ideas about the country’s future. Sessions will focus on how diverse thinkers envision Israel’s future since it achieved independence six decades ago. 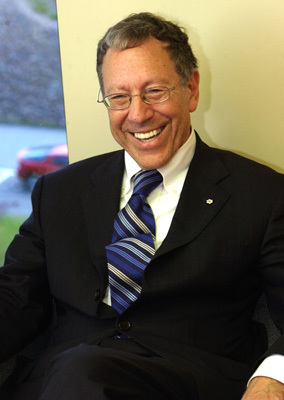 Special addresses will be delivered by Irwin Cotler, M.P., member of parliament, former minister of justice and attorney general of Canada; and Jehuda Reinharz PhD ’72, Brandeis president and Richard Koret Professor of Modern Jewish History. Also featured will be S. Ilan Troen, Karl, Harry and Helen Stoll Professor of Israel Studies at Brandeis; Colette Avital, M.K., deputy speaker of the Knesset in Israel; Michael Doran, deputy assistant secretary of defense for support to public diplomacy, U.S. Dept. of Defense; Galia Golan '60, professor of government at the Interdisciplinary Center and professor Emerita of the Hebrew University of Jerusalem; Asher Susser, Brandeis professor; and Michael Sela of the Weizmann Institute of Science. 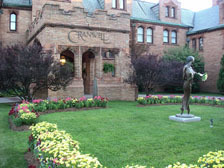 Brandeis in the Berkshires is made possible by the Harold Grinspoon Foundation and the Schusterman Center for Israel Studies at Brandeis. For more information and tuition details, visit www.brandeis.edu/berkshires, call 781-736-3355 or e-mail berkshires@brandeis.edu. 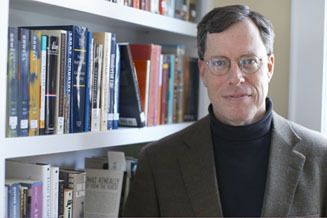 -Special lunchtime lecture: “An Agenda for a Civilized World” with Philip Zelikow, Friday, July 11, 12:30 p.m.
-Special lecture: “Israel at 60: The Gathering Storm and Beyond,” with Irwin Cotler, Sunday, Aug. 3, 8 p.m.
WHERE: Brandeis in the Berkshires is held at the Cranwell Resort, Spa, and Golf Club, 55 Lee Rd., Lenox, Mass. *NOTE: All symposia and lecture programs are open to the media.